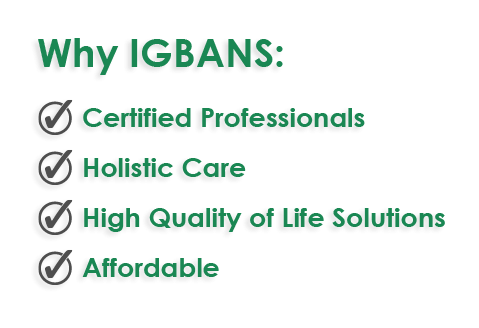 Established in 2012, IGBANS Home Care Services specializes in care for the elderly, disabled, and others in need of temporary or round-the-clock assistance. Our holistic approach to home care ensures that we help our clients achieve and maintain the highest quality of life possible. In addition to providing first-rate traditional home care services, we make exhaustive use of technology solutions, family -approved natural healing (in conjunction with prescribed medications) and a host of daily activities to help your loved ones enjoy life as much as possible. From organic meals to brain training technology, we go the distance to get the best results for your loved ones. In short, we strive to set the highest standards for home care in the industry.